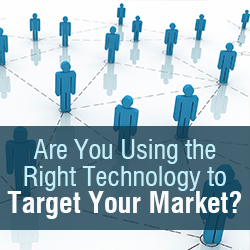 Are You Using the Right Technology to Target Your Market? You are here: Home / Advice for Agents & Brokers / Marketing Strategies for Agents & Brokers / Are You Using the Right Technology to Target Your Market? We’re just over halfway through the calendar year; a time you’re likely looking back at your stats and numbers to try and understand what’s working and what’s not while there’s still time to adjust your strategy and finish the year strong. If your digital advertising strategy isn’t performing as well as it should be, let’s take this moment to reevaluate what you’re doing and how to get back on track. We are all plagued by the vast options we’re forced to decide between when it comes to digital advertising. Those in the real estate and mortgage realms aren’t exempt from the struggle associated with finding the right tactics and technologies to reach their target market and, effectively engage those consumers. The truth is, there’s no one-size-fits-all strategy for attracting new buyers or reengaging existing ones. What’s missing is an education of what’s out there and how it fits into your online strategy. We often hear buzzwords like content marketing, native advertising, and CPC, but each company must determine what tools best suit their needs. There are certain tools available through platforms like Vantage Media Marketplaces that directly enable professionals in this field to execute their own campaigns to not only target consumers looking for real estate and mortgage services, but those who are actively looking right now. How knowledgeable are they about real estate and mortgages? Think of it like a quiz in a magazine begging the question, “what kind of advertiser should you be?” By answering these questions, you’ll develop a profile of the type of strategy that would be best to employ based on your objectives rather than developing those objectives after the fact. For example, say you respond that your business objective is to find new customers who are in the market for a loan who prefer to interact online and don’t know much about the field. Your magazine quiz would tell you that incorporating a tool like content marketing could be a great way to engage this audience. By creating content that is well-informed by data that has been collected and analyzed for various trends, and strategically placing it on websites you’re aware these consumers are looking to for information, you’re able to provide trustworthy information that not only informs the consumer looking for this service, but leads them back to your website so you can provide that service for them. For example, data from one of our partnerships where we provide a comprehensive content marketing strategy shows that the click-through rate (CTR) from our content to an ad on the webpage is 2.42% on average. But, the CTR on content that is not part of strategic planning – it is aggregated from related websites – only has a click-through rate of 1.7%. While that doesn’t seem like much, it can be the difference between thousands of dollars for the website owner and hundreds of new customers for the advertiser. Your first step to building a bulletproof strategy is preparation; things like forging strategic partnerships, and analyzing and using the data you acquire about how people engage with brands and get their information. Our exclusive partnerships, like one with Yahoo! Homes for example, allow us to collect and use reliable data strategically to help our brands reach relevant consumers. Finding the right digital strategy that fits with your company’s vision ensures that the right content will get in front of the right customers, rather than falling on deaf ears. By creating your own checklist of questions that speak to your business objectives, you can let those answers lead you to the best tools and tactics to reach your goals. 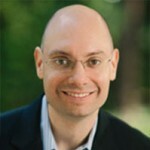 Patrick Quigley is CEO of Los Angeles-based advertising technology company Vantage Media and has more than 15 years of experience in sales, marketing, product management, and engineering with both public and private companies.